I was a huge fan of every release from Literature so I was thrilled to learn that Nate, their front-man, now had a new band. Called Tres Oui, the band's debut full-length record drops tomorrow. Poised To Flourish is every bit as bright and chiming as the best releases from Literature so I'm fairly certain that others will love this one as much as I did. Now, it makes perfect sense that some of this -- "Off The Rails", "Shy", and "Seance", for instance -- sound remarkably like the best Literature numbers. And, it goes without saying, that that's a good thing and not a knock on Nate's new act. That familiarity in style is forgotten when one hears the numbers on Poised To Flourish that sound like a progression from the earlier Literature tracks. "Looking For", for example, sounds a bit like both Tommy Keene and The Ocean Blue, nods to the glory years of American college rock abounding, while the even more robust "Red Wine and Dry Ice" echoes recent material from EZTV and other acts looking back even further, to the first few years of the post-punk boom in the late Seventies. For every moment here that feels like something we've heard from Nate and loved already, this track is the one that positively soars and surprises. 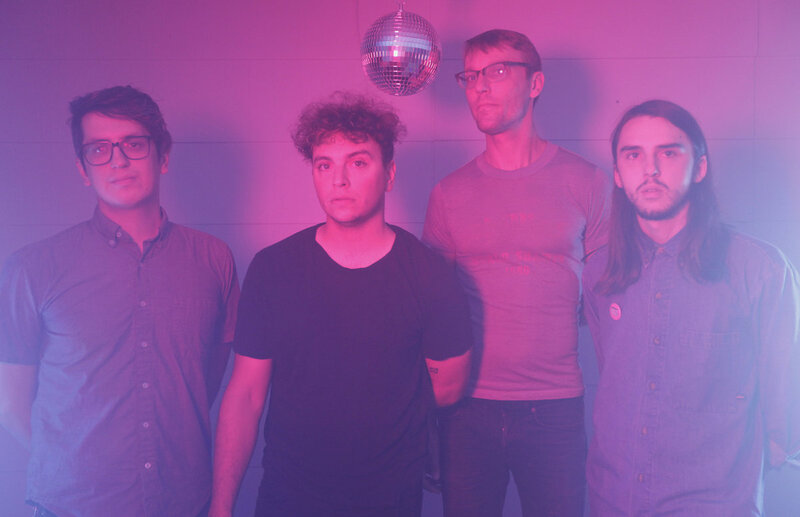 Elsewhere, the rippling "Wash Away" recalls The Wild Swans a bit, while the more languid "Sunday's Crowd" very nearly trips into shoegaze-y territory thanks to the waves of guitars that propel this one forward. It's a real testament to the strength of the players here that a tune like this doesn't just float away in a haze of hooks from a bunch of effects pedals. Decidedly tuneful, the songs here on the debut full-length from Tres Oui are consistently fine bits of C86-style indie-pop laced with real bursts of robust American power-pop. Much like the music from the earlier Literature, the compositions here reveal their influences while attempting to glide past them. We can probably easily guess the records that the members of Tres Oui love even while loving this one, you know? Fans of Wire Train, Velocity Girl, The Flatmates, and O.M.D. should find as much to love here as I did. Poised To Flourish is out tomorrow via Shrimper Records and Bandcamp. More details on Tres Oui via the band's official Facebook page.